The Tamil Nadu government on Wednesday banned the screening of Kamal Hassan's "Vishwaroopam" following strong protests from various Muslim organisations over alleged depiction of their community in a negative light. Official sources said the state government has asked the respective district collectors to invoke necessary legal provisions to maintain law and order. The ban came hours after the Muslim groups petitioned the government, seeking a ban. A group of 20-odd organisations under a common banner submitted a memorandum to home secretary R Rajagopal to press for their demand, a day after taking up the matter with city police. MH Jawahirullah, MLA and president of Tamil Nadu Muslim Munnetra Kazhagam, told reporters that the movie "targets Muslims and their beliefs". Mohammed Haneefa, coordinator of Federation of Islamic Movements and Political Parties, said the community would not accept such portrayal even if certain scenes are deleted. "We intend to register our apprehensions that release of the film with (even) deleted scenes or changes will affect the social harmony and all-round peace in the state," he said. The move comes days after Haasan, who directs and stars in the movie, held a special show for them. The big budget movie has been made in Tamil, Hindi and Telegu. 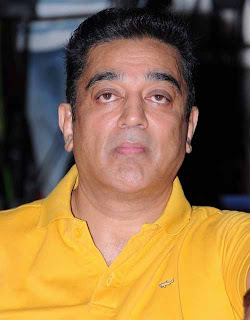 Haasan has already clarified that Muslims are not shown in a objectionable manner in the film but that has failed to soothe frayed tempers of the community, which blames him of having a history of doing so in earlier films like Hey Ram and Unnai Pol Oruvan, the latter a remake of Hindi film A Wednesday. Hassan had played the role of Naseruddin Shah in the original. Hasan has been facing lot of hurdles with his latest movie, which has been made on a huge budget. His decision to show it on a DTH platform ahead of its theatrical release was faced with strong protests by screen-owners recently. He was forced to drop his plans to have a DTH premiere first after the protests but moved the Competition Commission of India against Tamil Nadu theatre owners for allegedly restricting the release.